Is it snowing in Hlíðarfjall Akureyri ?Thank you! 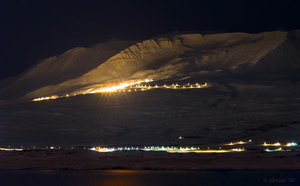 Akureyri, in Iceland, is a small ski resort with just 4 ski lifts (1 chair lifts, 3 surface lifts) but it does boast a very impressive 540 metres (1772 feet) of vertical descent. 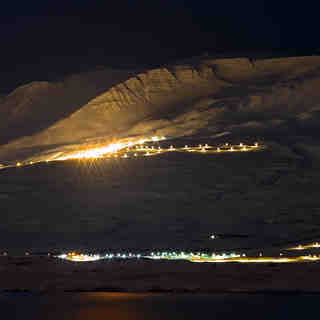 Akureyri has 9 pistes. 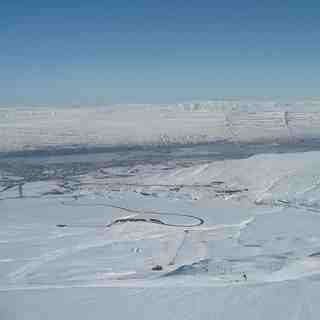 There are 10 kilometers (6 miles) of cross country ski trails at Akureyri. The nearest airport is at Keflavik. There is accommodation located close to the pistes but we would welcome additional information about any hotels or chalets in Akureyri. 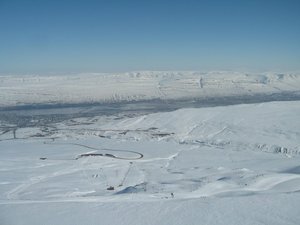 Akureyri is definitively Iceland's best ski resort that although not huge, has some really good slack country and steeps that can be hiked to. Akureyri is also very close to world class ski touring terrain on the Troll Peninsula in the north and the Hidden land to the north east, where folks can enjoy touring as well as awesome heli skiing.